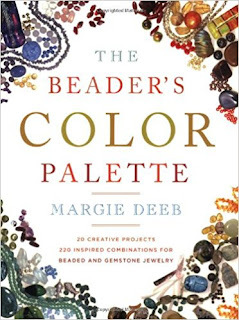 Two hundred and twenty gorgeous palettes, with lovely photos and jewelry to illustrate them! I want to travel to all the places that Margie uses for her inspiration…the Middle East, Tuscany, Latin American…and the list goes on. Not only countries are used for inspiration though. The planet itself, historical time periods, the elements of life: all of these and many more are jumping off points for this marvelous color book. Does 220 palettes seem like a lot? Margie says that it was hard to stop with just 220! There are projects too, which will allow you to practice some of the color magic that you’ve seen!